The Workplace Hazardous Materials Information System (WHMIS), Canada’s hazard communication standard, came into effect on October 31, 1988. The key elements of the system are hazard classification, cautionary labelling of containers, the provision of (material) safety data sheets ((M)SDSs), and worker education programs. On February 11, 2015, the Government released final regulations, the Hazardous Products Regulations (HPR), modifying WHMIS to incorporate the GHS for workplace chemicals. 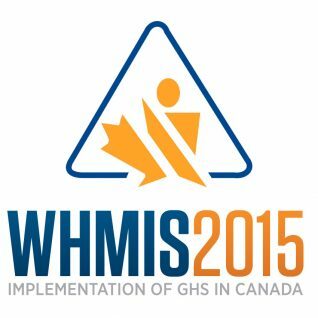 This modified WHMIS is referred to as “WHMIS 2015”. The GHS is an internationally consistent approach to classifying chemicals and communicating hazard information though labels and SDSs. The implementation of the GHS in Canada will enhance the protection of human health by providing workers with standardized and consistent information on workplace chemical hazards and help facilitate international trade. With the implementation of the GHS in Canada, a transition period permits suppliers, importers and distributors of hazardous chemicals, as well as employers with such chemicals in their workplaces, to comply with the newly revised WHMIS program, incorporating the GHS (WHMIS 2015). The transition period will end on December 1, 2018. GHS format labels no longer include a hatched border and no reference to MSDS. HPR features product identifier, supplier identifier, GHS pictogram(s), a signal word with hazard and precautionary statements. Both English and French should appear on the label. There are no specific size requirements. WHMIS 2015 includes new harmonized criteria for hazard classification and requirements for labels and safety data sheets (SDS). However, the roles and responsibilities for suppliers, employers and workers have not changed. Prepare labels and SDSs and provide them to purchasers of hazardous products intended for use in the workplace. Educate and train workers about the hazards and safe use of hazardous products in the workplace. Ensure hazardous products are properly labelled. Participate in identifying and controlling hazards in the workplace. Although the transition to WHMIS 2015 has been a multi-year process, you may have some questions that need clarification. The Canadian Centre for Occupational Health and Safety has produced a series of Fact Sheets that answer many questions regarding the WHMIS 2015 transition. The final deadline for compliance is rapidly approaching, make sure your workplace programs have been reviewed and updated to reflect the WHMIS 2015 standards by December 1st. Download our WHMIS 2015 infographic poster here.